I love exploring markets and shops wherever I am and, especially, shops with a distinct point of view. 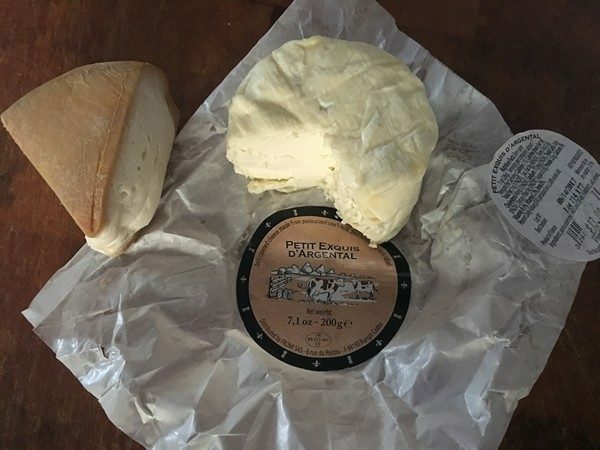 When I first went into Cheese Louise, I wasn’t expecting to find great cheeses in what I thought was in the middle of nowhere. The middle of nowhere turns out to be route 28 which gets about 23,000 cars a day. It’s a small store, with goodies tucked in every nook and corner. 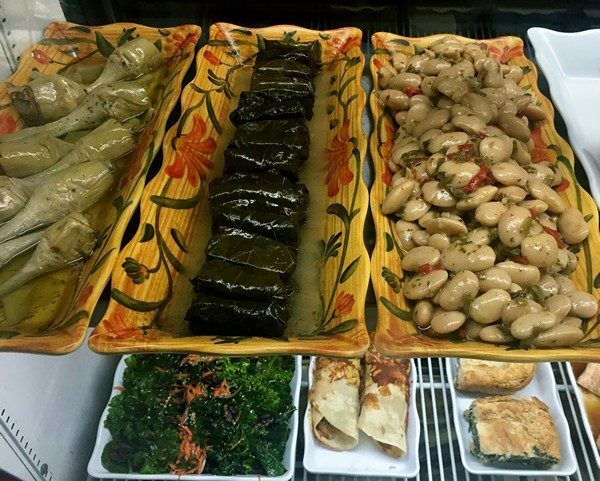 If want to cook, there are ingredients to make all sorts of dishes and as exotic as you’d like. If you’d rather go the prepared route, there’s lots to choose from, including my new fave, their smoked trout salad (plated on your own china, no one will be the wiser). Rick and Sam take good care of everyone, and if you’re one of their regulars, will greet you by name and reach for your favorites. Along with the cheese, which takes up most of the room in three refrigerator cases, there is a nice selection of pâtes and charcuterie. A small selection of local meats (steaks and chops) are also available. There are plenty of crackers to go with all the cheeses, and baguettes from a local bakery. 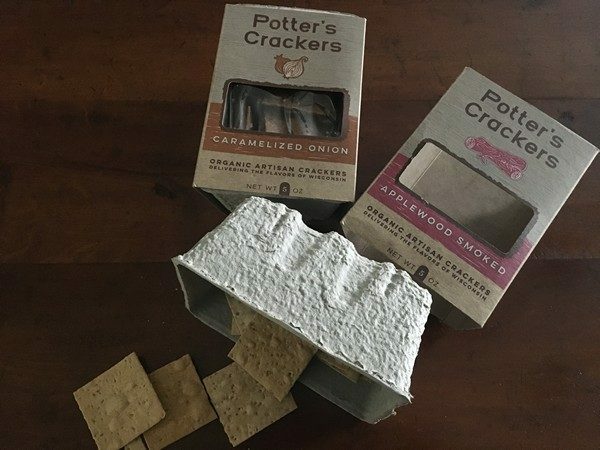 I discovered Potter’s crackers on a previous visit and now they’ve become a favorite at my house. The cheese is all in lovely condition and if you tell Rick and Sam when or what you want it for, they’ll steer you in the right direction. 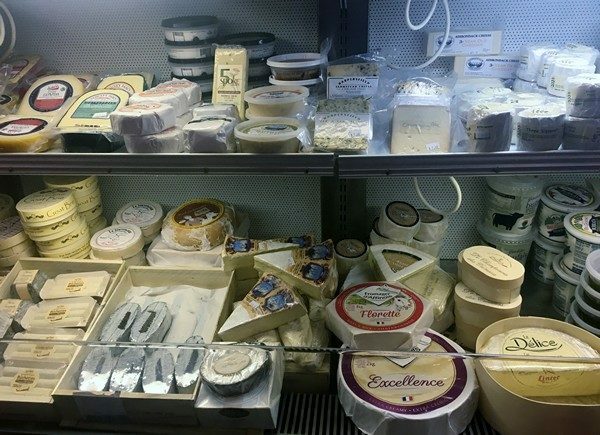 Something I almost always do in any good cheese store is to ask what I shouldn’t leave without. I figure the cheesemongers know what’s particularly good that day and I get a chance to try something new or remember one that might have fallen off my radar. Either way it’s win-win. That day Rick gave me Urgelia, a washed rind, cow’s milk cheese from Spain. I grabbed that and a new-to-me wheel of a triple crémé, Petit Exquis D’Argental, my crackers and a few other goodies, went home and had a feast! Now that I know it’s only a short hop across the Kingston bridge, I’ll be a much more frequent customer! Great idea! I might need some help, any ideas? Yummy! 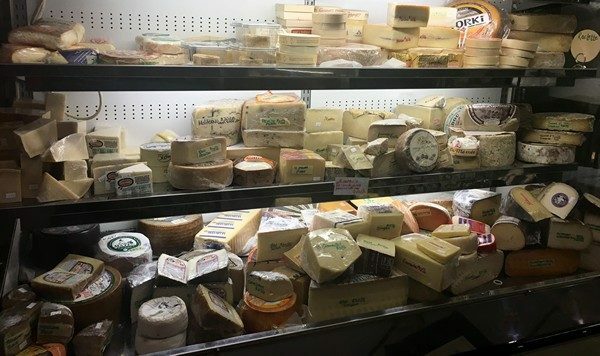 Could you kindly map out a cheese tour for the New York state!